Exit From the Known World features six poems Simon Armitage wrote for Northumbria National Park's 'Poems in the Air' project. Hilary Paynter produced six new beautiful wood engravings in response to the landscapes that tether the poems to the air. The edition, designed and printed by John Grice of the Evergreen Press, Stonehouse, Gloucestershire, was printed from Centaur 16 point type on Zerkall paper and bound at the Fine Book Bindery, Wellingborough, England. The standard edition is priced at £95 plus £5 p+p (UK). Shipping to the rest of the world will be individually priced. The edition is limited to 125 copies individually numbered and signed by both Simon and Hilary. The deluxe edition features the standard edition housed in a slipcase and is limited to 26 copies lettered A to Z, all signed by both Simon and Hilary. The deluxe edition is priced at £140 plus £5 p+p (UK). Shipping to the rest of the world will be individually priced. 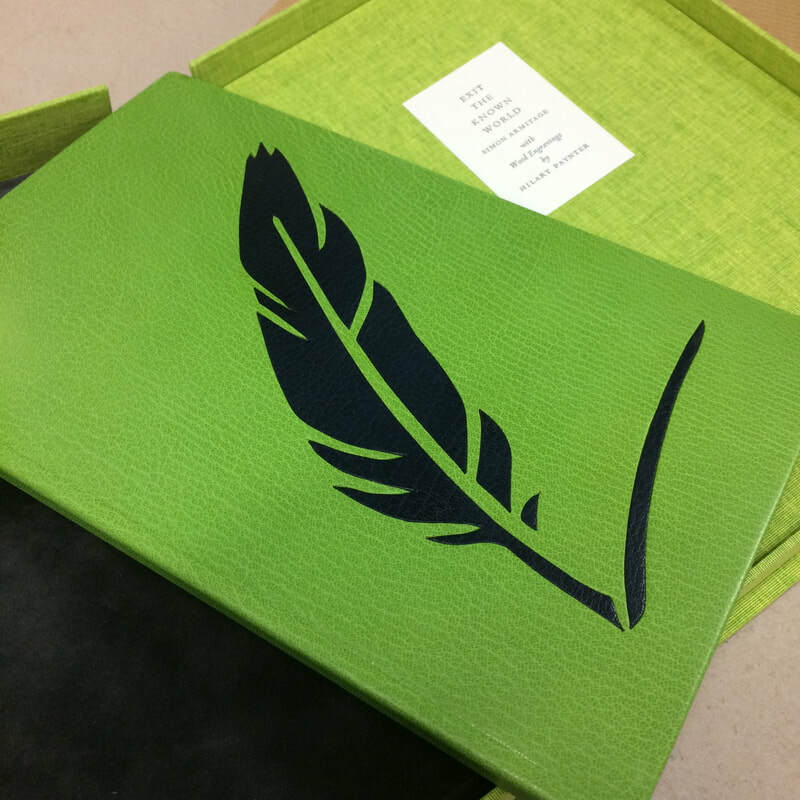 The presentation edition features a leather bound version of the book housed in a Solander box and is limited to 5 copies numbered I to V, each signed by both Simon and Hilary. In addition a portfolio containing Hilary's six engravings is included in the Solander box. The presentation edition is priced at £500 plus £10 p+p (UK). If you would like more information or to purchase a book please contact me.